Bezel set stone earrings with "v" bead detail. 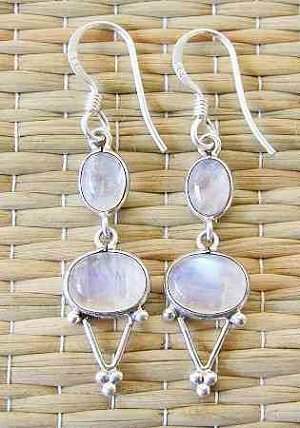 Available in several stones, shown in Rainbow Moonstone. Matches necklace N247 and bracelet B247. Handmade wholesale sterling silver jewelry from India. Authentic semiprecious stones, like all our jewelry!